Police dog gets bulletproof vest – Welcome to Wyandotte Daily! A Kansas City, Kansas, K9 named Dax now has a bulletproof vest. 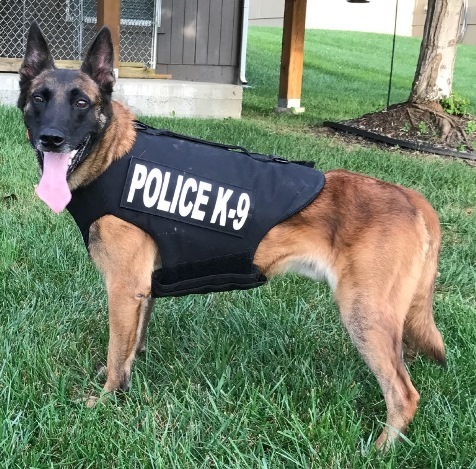 Vested Interest in K9s, a nonprofit charity from Massachusetts, provided the bulletproof and stab-protective vest to Dax, according to a Kansas City, Kansas, Police Department spokesperson. Since 2009, Vested Interest in K9s has provided more than 2,800 protective vests to dogs in 50 states, according to the spokesman. The value of the donations from private and corporate sponsors was more than $2.3 million. The donation of one protective vest for a law enforcement K9 is $1,050, according to the spokesman, and the vest is valued between $1,795 and $2,235. For more information about the program, visit www.vik9s.org.